I have the dreaded flu. Actually, this is my second dose of it this month! Having just recovered from a mild bout, this one is lingering for over a week now, since a trip to Hong Kong, where I suspect a friend unintentionally passed on the said infliction. As flu’s go, I have had worse, although we males tend to be pathetic patients, and frankly – I’m dying. It’s not one of those nose running like a tap jobs and coughing and spluttering constantly. No, it’s more that body aches and pains, like someone has a taken a hammer to your little finger and kneecaps then thrown you in front of a Kenworth truck. And your throat is sore and raw, and head feels like it’s in steam oven and you are seemingly slipping in and out of consciousness, between the waves of nausea. Furthermore, and testimony to my dedication and perseverance, I went to a wine gathering last night with visiting kiwi vigneron, Kai Schubert, (http://www.thewanderingpalate.com/must-have-wines/schubert-new-zealand-winery-of-the-year/) joining in a gaggle of wine nuts organised by ringleader Chee Wee and also a guest appearance from past ringleader, Andy Tan, one of Singapore’s finest palate’s who has been stationed in Shanghai for the last 5 years. We convened at Jade Palace, in the basement of the Forum Mall, Singapore, my favourite Cantonese restaurant (although not strictly Cantonese) with proprietor Mr Ho looking after us impeccably with a brilliant menu, the highlights being fresh claims from New Zealand cooked in garlic and chilli (nearly killed me with sore throat though) and a big Sri Lankan crab claw tossed in the wok with Chinese black olives and pepper – so good. Despite having the flu and my head feeling like a car radiator, the olfactory senses were actually fine and I have to say, I was in good form – for a moment – nailing one of the reds in a totally indulgent succession of wines, most of them tasted blind. You see, our little group likes to torture each other with wine options (multi-choice questions to determine the wine), that masochistic mortification of wine prowess that invariably results in total degradation and embarrassment. Its suckers game as well, like a casino roulette wheel letting you win once only to mercilessly strip you of everything thereafter. So, being the only one to correctly identify this certain wine as French, moreover nailing it to the Hermitage appellation, a completely failed in identifying the vintage and I have say, it was in one way an extraordinary blunder and in another an extraordinary result – the options being “It is from one of the 3 great Northern Rhone Valley vintages of the Century, 1961, 1978 or 1990”. My choice was emphatic, 1990, as the wine indeed looked like it had travelled 20 years. As it turned out it was 1978, bugger! What’s more, a stock standard Guigal Hermitage; that is not to belittle the wine or maker, but in reality Hermitage is not their strength and there are other producers more revered in this appellation I had in mind. What an incredible wine it was though, over 30 years in bottle and showing superbly; fully-developed and yet still has an abundance of rich fruit, which is why I thought it was from the 1990 vintage. Clearly it had been cellared in impeccable conditions and was one of the wonderful wine treats that will remain on the conscious for a long time. It also invoked much conversation on the famous hill of Hermitage and one of great collectors wines of the world, the legendary Paul Jaboulet Hermitage La Chapelle 1961, of which the last recorded case sale at Christie’s Fine and Rare Wine Auction in London, went for a whopping GBP123,750 (S$342,000) inclusive of taxes and premiums, setting a new European record for the amount paid for a single case of wine. 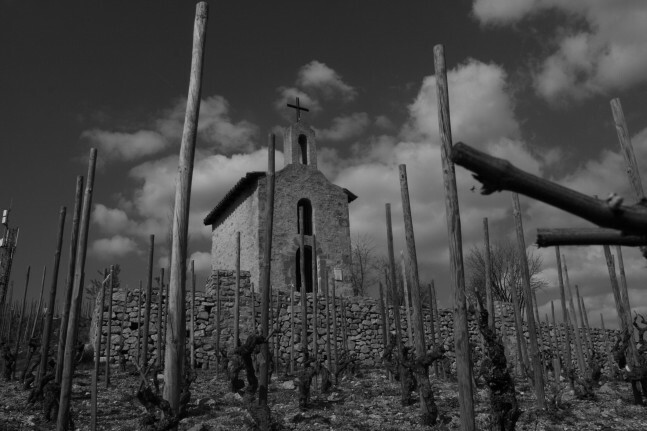 I have written extensively on Hermitage La Chapelle, if you follow the links below to a two-part article, but more specifically on how the La Chapelle 1990 is destined to follow in the footsteps of the 1961, both in its monolithic proportions and its potential as wine investment. The bottom line, as was the case with the 1961 La Chapelle, there a finite amount of this wine around, and it can only get rarer, ergo increase in value. Interesting though, when I wrote on this about 5 years ago, the going price of the 1990 La Chapelle was 7900 pounds a case. I notice that Fine & Rare UK have a case ex-domaine (which means it mint condition) for 6400 pounds. Now you are probably thinking if it this wine made a negative return over the last 5 years, why would you buy it now? Well, all I can say is looks even more attractive as an investment now as not only a good price but surely there is less of the wine around now. Pure supply and demand will see the price go up – exponentially – one day. Still, would you trust a wine writer that was completely lost at sea with the rest of the wines on our blind tasting evening? Well not quite, I did alright on variety, sometimes country, but it was all downhill from there. Just goes to show, you never stop learning about wine.